The full-length wall mirror by Varaluz Casa features a sleek deep brass finish that can lean against a wall or mount on a wall. The simplicity of the full-length wall mirror by Varaluz Casa makes it an ideal addition to any entryway or bedroom. The mirror features a sleek deep brass finish. Lean it against a wall or mount it on a wall. 30" wide x 70" high x 2" deep. Hang weight is 23.75 lbs. Full-length wall mirror from the Dillon collection by Varaluz Casa. Can lean against a wall or mount on a wall. What is deep brass picture looks more like oil rub bronze. Is this gold tone or more of a bronze tone? BEST ANSWER: Hi - Per the manufacturer, the frame does feature a brass metallic finish. I do apologize, our website will be updated shortly with new photos. Can this be hung horizontally? Or just vertically? BEST ANSWER: Hi - Per the manufacturer, this is not designed to mount horizontally. Can you please tell me what material the back of the mirror is made from? I'm trying to avoid MDF and hoping it's metal. BEST ANSWER: Per the manufacturer, the back is lined with plywood. 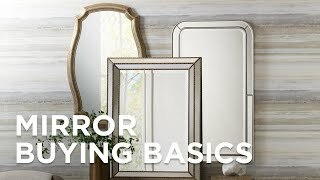 If it is wall mount mirror, why does it list mirror as 27.5" deep? BEST ANSWER: Hello - Thank you for catching that typo for us. The mirror is 2" deep. BEST ANSWER: Please contact our customer service department with your order confirmation number and they will be happy to provide you with a status on your order.